The north-east is a beautiful and often underrated region of India. Although tourism is popular in the north-east, it is mostly concentrated in places like Darjeeling, Shillong, etc., while the place has so much more to offer. With heritage, culture and lifestyle of people in the north-east being unique to the region, there are several things that you can witness or experience only here. Stunning landscapes, most of which are a part of the mighty Himalayas, beautiful lakes and rivers, intriguing wildlife and a culture so rich that you will surely fall in love with it - this is what you can expect on a tour through the north-eastern states of India. Here are some of the unique things you can indulge in on your trip to the north-east. Since most regions of the north-east are made of the Himalayas, there are one too many average to extremely strenuous trekking routes. While trekking with average difficulty is available anywhere in India, attempt to go on herculean ones like Goechala Trek and Dzongri Trek in Sikkim, Sandakphu Trek in Darjeeling, to name a few. The best part of the northeast is its natural beauty. Lush greenery is spread all across the place, with small to enormous waterfalls dropping from the mountains from fearsome elevations. Some of the magnificent waterfalls that you must visit in the north-east include Nohkalikai Falls in Meghalaya, Vantawng Falls at Mizoram, Nuranang Falls in Arunachal Pradesh, etc. Changu Lake or Tsomgo Lake in Sikkim is the place where you can enjoy a refreshing and extraordinary experience of going on a yak safari. Tsomgo Lake is located 40 km from Gangtok that takes about 2 hours to be covered. Spend a day by the sparkling lake and go on a yak ride to dwell in the surrounding nature peacefully. You can continue your journey by going to the famous Nathu La Pass, the mountain pass that used to connect India with China. It is located only 16 km away from the lake. Since Buddhism is one of the main religions followed in the north-east, spectacular monasteries are spread across the place. 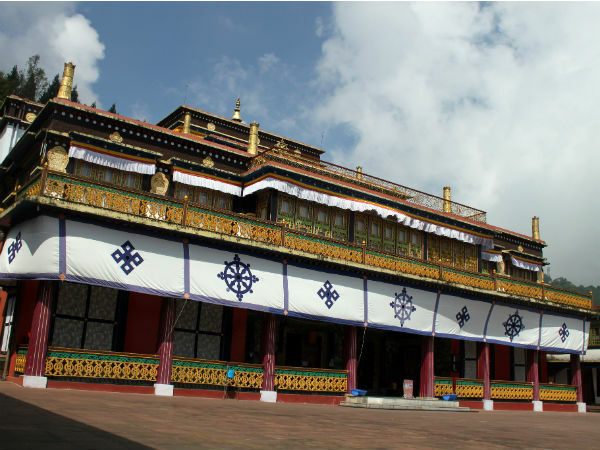 The biggest monastery of Sikkim, Rumtek Monastery is the most popular and revered one of all. It is a Buddhist spiritual learning centre that contains a shrine, stupas, etc. Some of the other important monasteries that you must visit include Phodang Monastery, Zang Dhok Palri Phodang, Enchey Monastery, etc. Also visit Tawang Monastery, the largest Buddhist monastery in India. North-eastern states are spread will unique wildlife, some of which are quite exclusive to the region. For instance, the popular one-horned rhinoceros can only be found in Kaziranga, Assam, mostly since two-thirds of its population in the world is concentrated here. Some other intriguing animals that you can witness are red pandas and snow leopards in Darjeeling Zoo, pygmy hogs in Manas National Park and so on. Every region has its own set of festivals that are exclusive to the place. Similarly, Northeast India has several unique festivals as well. Losar is a festival that is celebrated to mark the new year, Bihu is Assamese new year's festival while Losoon is Sikkimese new year festival. Hornbill Festival of Nagaland, Lui Ngai Ni of Manipur and Ambubachi Mela of Assam are few of the many other festivals that you can once be a part of. As mentioned, natural beauty of the north-east is so breathtaking that it is bound to leave you spellbound. The region is dotted with some of the most mesmerising lakes that you definitely need to visit on your tour. Visit Changu Lake and Gurudongmar Lake in Sikkim, Loktak Lake in Manipur, Sangetsar Lake in Arunachal Pradesh, Umiam Lake in Meghalaya, etc.